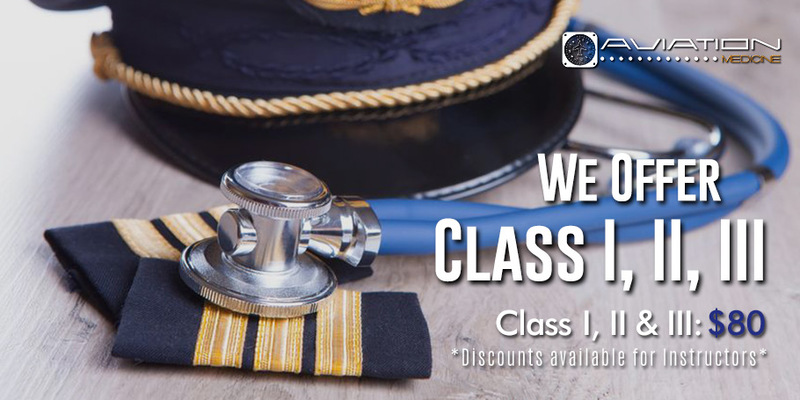 To be eligible for a firstclass airman medical certificate, and to remain eligible for a firstclass airman medical certificate, a person must meet the requirements of this subpart. To be eligible for a secondclass airman medical certificate, and to remain eligible for a secondclass airman medical certificate, a person must meet the requirements of this subpart. To be eligible for a thirdclass airman medical certificate, or to remain eligible for a thirdclass airman medical certificate, a person must meet the requirements of this subpart. 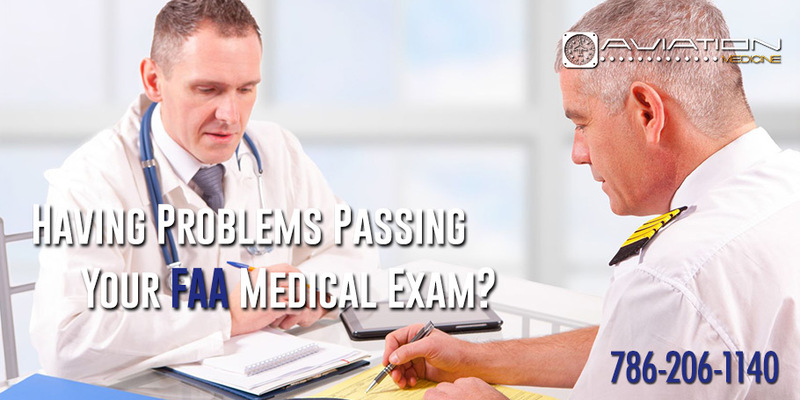 WHY CHOOSE A FAA MEDICAL EXAMINER IN MIAMI? 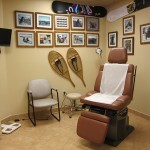 The doctors at Fox Medical Centers all practice with a holistic approach. We believe that treating patients should go beyond simply diagnosing specific symptoms or illnesses. In order to fully care for an individual, all aspects involving medical history and preventive measures should be taken into consideration. At Fox Medical Centers, we like to consider ourselves as “Your one stop health shop”. Fox Medical Centers meets all of your healthcare needs in one location. Our staff includes doctors specializing in Family Practice, Cardiology, Internal Medicine, Nutrition Counseling, Medical Weight Loss, Podiatry, Optometry, Acupuncture, and more. There is a dispensary on site for your convenience. 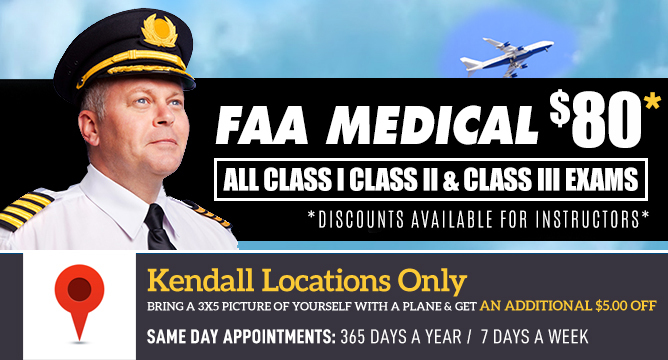 Dr. Fox is a Senior AME (Aviation Medical Examiner) and is certified to administer the Class I, Class II, and Class III FAA Medical Exam. 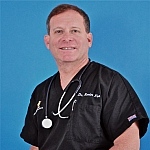 Furthermore, Dr. Fox is an Assistant Professor of Family Medicine at the University of Miami Miller School of Medicine. In practice since 1990, Kevin Baruch Fox, D.O. earned his B.A. from Florida International University in Miami, FL in 1983. He went on to earn his D.O. degree from Nova Southeastern University College of Osteopathic Medicine in Fort Lauderdale, FL in 1987. Dr. Fox is a seasoned pilot with more than 35 years under his wing. 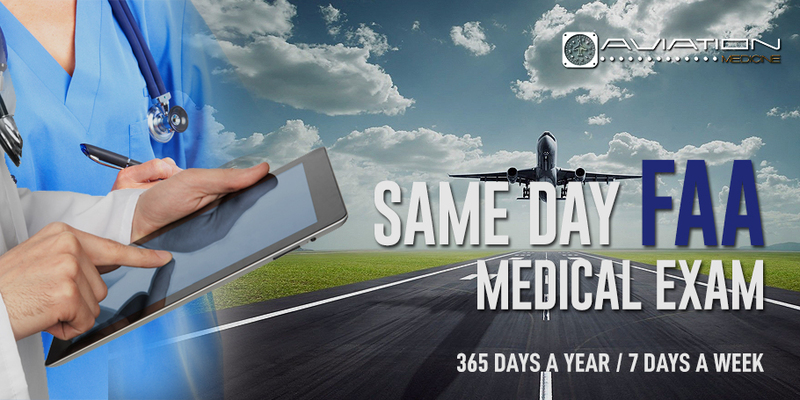 We are the only FAA Medical Examiners Doctors Office that offers this kind of service. Copyright © 2015 Aviation Medical Exams of Miami. All rights reserved.